Haryana Chief Minister Manohar Lal Khattar on Wednesday said his predecessor Bhupinder Singh Hooda was "getting nervous and fearful of landing behind bars" since the "misdeeds" committed during his rule were being exposed.Khattar said Hooda was trying to mobilise Congress supporters to save himself from inquiries. 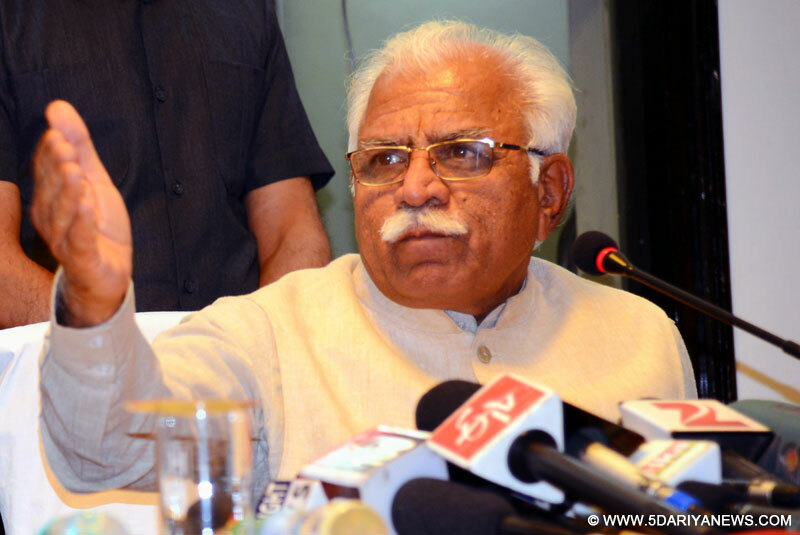 "Hooda is getting scared but all this will not benefit him," Khattar told the media here.Khattar said there were issues regarding several irregularities committed during the Hooda rule from 2005 to 2014. "These are being investigated by the Central Bureau of Investigation, the Supreme Court and Justice Dhingra Commission. As many as 12-13 raids have also been conducted in this regard," Khattar said.The CBI booked Hooda and others last week for their role in the allotment of land to the Associated Journals Limited (AJL), linked closely to top Congress leaders.The acquisition and allotment of prime land in Haryana by the Hooda government is under investigation.